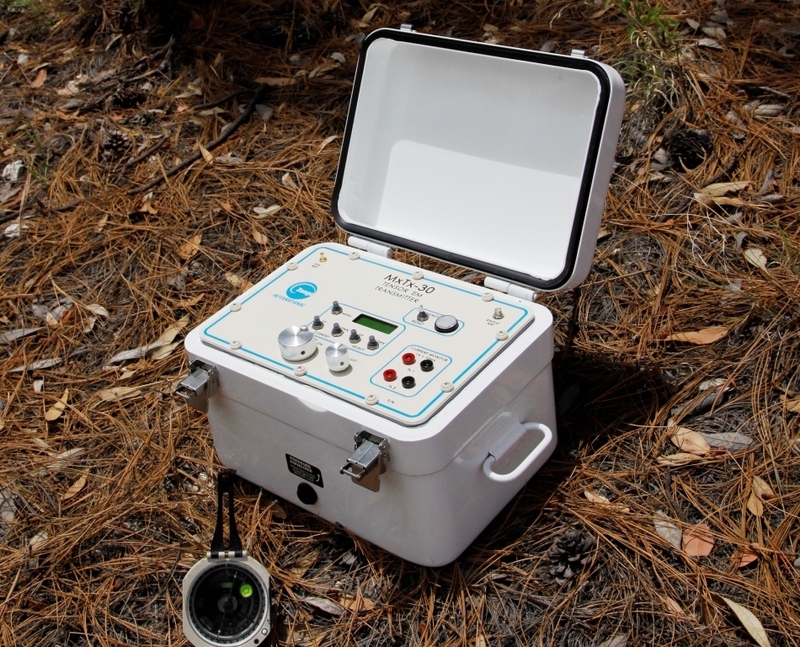 Our transmitters are field-proven for surveys ranging from shallow drill-hole logging to deep exploration. Power ratings range from milliwatts to 10s of kilowatts. Output currents range from 1uA to 45A. 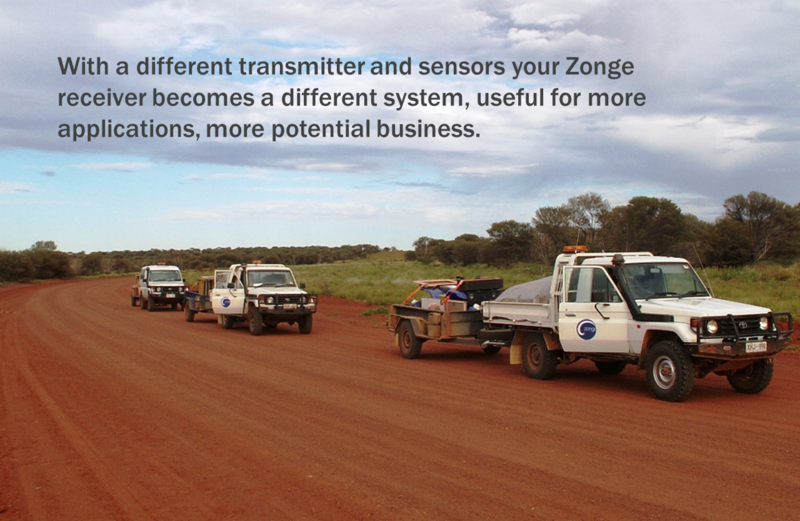 Zonge transmitters can transmit almost any waveform that can be constructed of square-wave segments, including frequency-domain (100% duty cycle) waveforms, time-domain (50% duty cycle) waveforms, or pseudo-random binary sequences. Motor generator transmitters provide a constant current supply for time- and frequency-domain IP, resistivity, CR, TEM, and CSAMT surveys. GGT-3 Output: 3kVA up to 1000 V, 15 Amp. 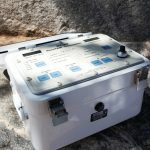 Compact, vertical design makes this model packable by animal when necessary. Sealed construction. 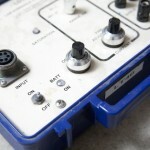 Shown with recommended transmitter controller. Weight: 30 kg (66 lb). GGT-10 Output: 10kVA up to 1000 V, 20 Amp (30 Amp option). 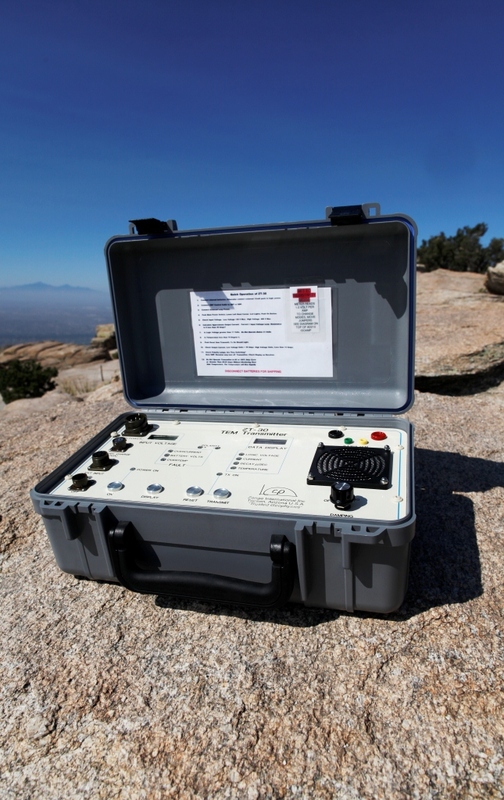 This versatile, medium-power transmitter is rugged and reliable in all climates. Weight: 51 kg (113 lb). 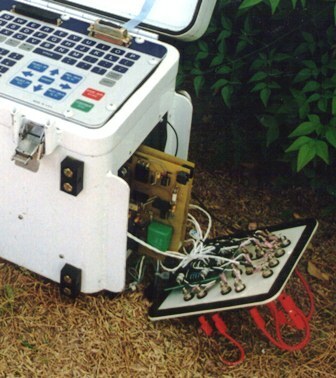 GGT-30 (not shown) Output: 30kVA up to 1000 V, 45 Amp. Weight: 93 kg (205 lb). The NT-32 NanoTEM® transmitter is mounted in the card cage of a Zonge GDP multifunction receiver thus equipping the receiver with optional TEM analog acquisition cards to enable measurement of TEM transients at time delays as short as ~1us after the current is shut off. 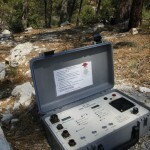 These early-time TEM measurements can provide information about the subsurface for depths less than 100 meters. The Zonge NT-20 EM transmitter is capable of very fast turn-off times to collect high-quality, near-surface TEM data, a dual-mode NanoTEM® or ZeroTEM transmitter used with a Zonge GDP receiver. When operating in slow turnoff mode (ZeroTEM), it can supply up to 20A into larger transmission loops. Weight: 5 kg (11 lb) without batteries. 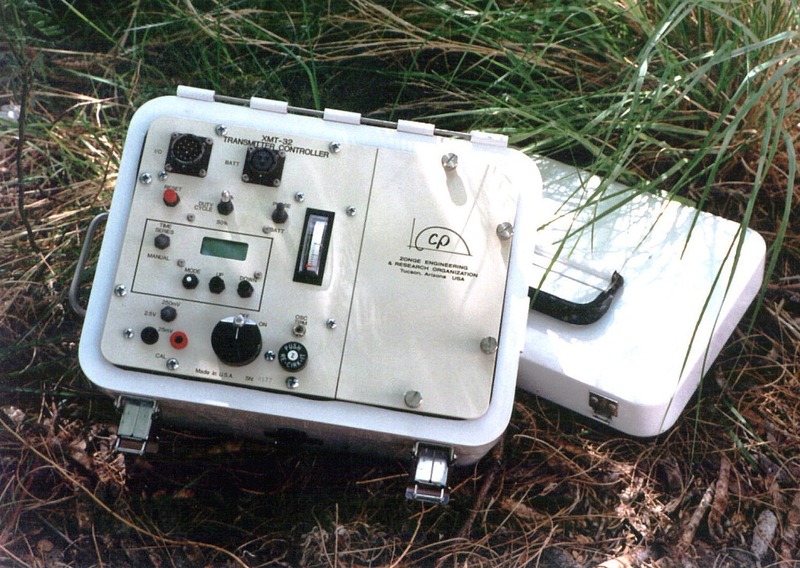 The ZT-30 transmitter is small, easily transportable by one person, and appropriate for TEM surveys where the targets of interest are at depths less than 500 meters. ZT-30s can also be used as low-power resistivity/IP transmitters for applications where precise current regulation is not required, or when the current waveform can be directly measured! Operating from a DC power source, the ZeroTEM (ZT-30) transmitter can switch currents up to 30A into inductive or resistive loads. 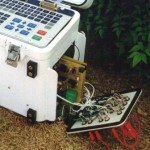 Two or more 12v automotive batteries connected in series provide DC power when used as a TEM transmitter. Weight: 8 kg (17.6 lb) without batteries. The MxTx-30 is a battery-powered transmitter capable of producing a time- or frequency-domain waveform into an inductive load (or resistive load with the optional Zonge power booster). As a CSAMT transmitter, the MxTx-30 can transmit 30A into a loop up to 100m on a side and — with an integrated GPS system — can switch between transmitter loops synchronously with data collection. Weight: 9 kg (19.8 lb) without batteries. 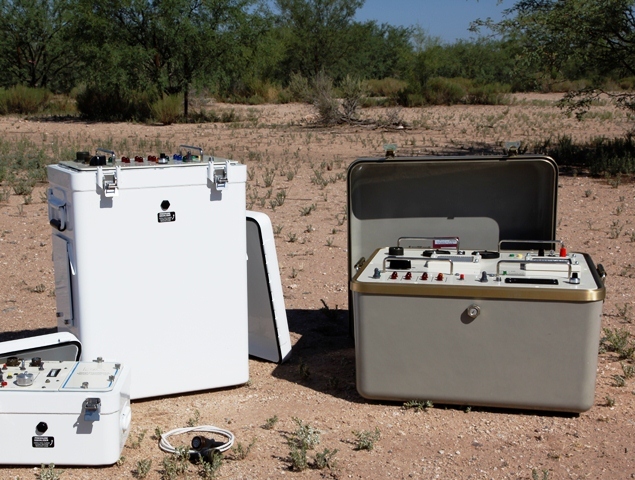 The LDT-10 Downhole EM Transmitter operates with 12 Vdc power and, depending on the load resistance, can provide precision current-regulated frequency- or time-domain waveforms with amplitudes ranging from 1 µA to 10mA. 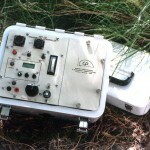 This transmitter is ideal for resistivity/IP measurements on field samples and drill core, and for use in connection with shallow drill-hole logging. 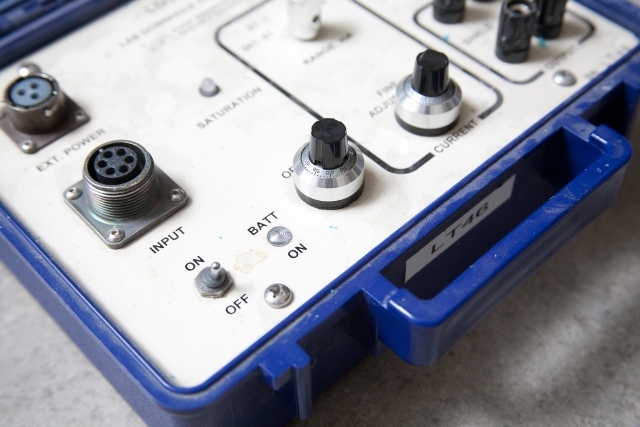 We also supply electrodes for use with the LDT-10 designed to provide a non-polarizing contact for resistivity and IP measurements of rock samples in the laboratory. one control cable, three 24″ black and three 24″ red connecting cables, and operating manual. Weight: 2.3 kg (5 lb). 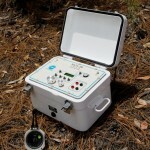 The XMT-32 Transmitter Controller produces timing signals for controlling Zonge GGT, ZT and NT transmitters. Provision is made for synchronizing multiple controllers and receivers. Frequency control can be accomplished either manually or by a time sequence program which is loaded through the RS-232C port. Weight: 6.4 kg (14 Ib).